In our series of letters from African journalists, Ghana's Elizabeth Ohene looks at why many Africans make the treacherous journey to Europe. Pope Francis says the tragedy at Lampedusa is a disgrace. He, of course, being the pope is blaming the rich world, the Europe that has closed its doors and forced would-be migrants to desperate measures. Nobody is sure how many, but probably more than 300 Africans, men, women and children, found death in the most gruesome manner trying to cross into Europe last week. This has made headlines because of the sheer number of people that have perished in one incident. 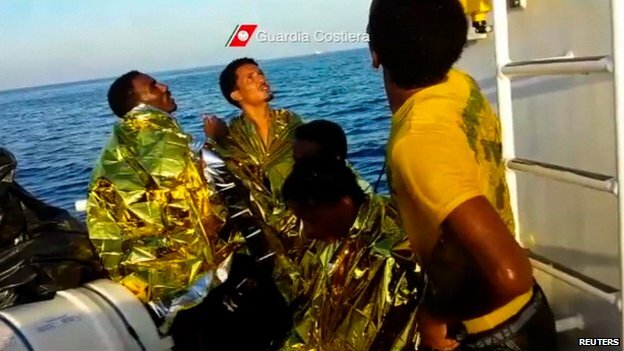 However, desperate would-be migrants from Africa routinely drown in the crossing between north Africa and the coast of Italy. There is a lot of hand-wringing about what Europe can do to stop such tragedies. There is no suggestion that the countries of the European Union (EU) will be so horrified by the latest tragedy that they will open their borders and make it easier for the hordes from the African continent to enter. Nor has the current horror stopped the influx - more boats are arriving and doubtless there will be more drownings. 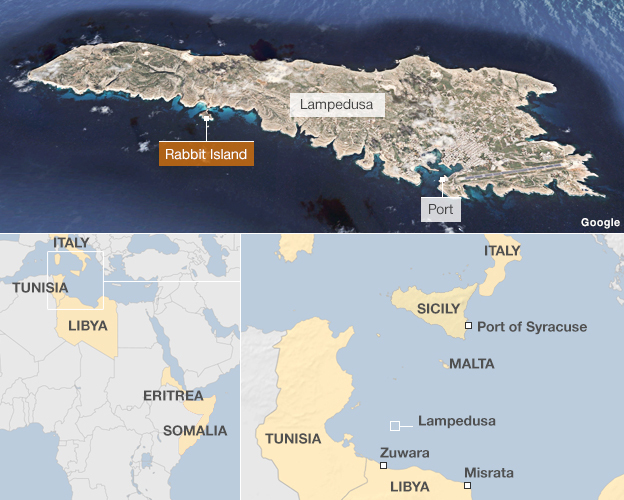 Those migrants who have made the crossing and reached Lampedusa without their boat overturning and gone on to other European countries tell stories that are as grim as the crossing they endured. One Nigerian currently in a camp in Germany says: "I see myself as someone who is not on planet earth… They just want us to die here". The question therefore has to be asked: "Exactly what is it that all of us Africans are running away from?" What is it on our continent and in our countries that is so horrible that we are ready to endure every indignity and nightmare of the crossing or a miserable death on a crowded boat at the bottom of the sea? This particular doomed boat is said to have been filled with people from Eritrea, Somalia, Ethiopia and my compatriots, Ghanaians. Unfortunately, we have to believe the worst about Eritrea since President Isayas Aferworki has shut his country firmly from the scrutiny of the outside world. The Eritreans are probably seeking freedom and, in those circumstances, anything appears preferable to persecution. Ethiopia, headquarters of the African Union (AU), is no longer the land of biblical famines - it has a booming economy and regular elections. 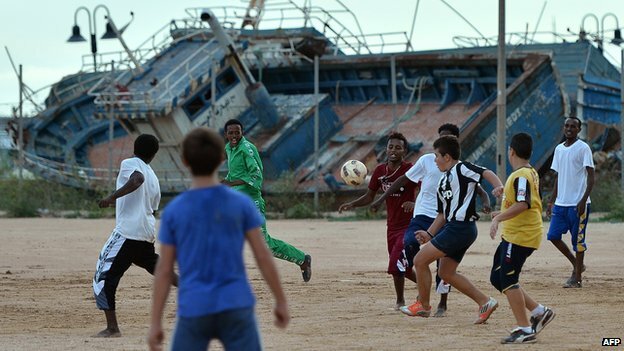 Are there some so left out of it that they would be driven by poverty and hunger to watery graves in Lampedusa? The Somalis do not have a functioning state but I have heard it argued persuasively they do not need one. What and who are they running from? Ghana is setting the pace in democratic practice, newly found oil riches, sturdy growth and where we can tell the president he is clueless and live to tell the tale. I can testify it is not freedom they are looking for. The disgrace is ours as Ghanaians and as Africans that some of our people should feel desperate and hopeless enough to subject themselves to the nightmare of Lampedusa. I recently saw some statistics which claimed that remittances from Africans who live abroad amount to more than $200bn (£124bn) a year, compared to some $72bn in aid. It seems to me those of us who live on the continent have to think twice before we accept the next $100 or euros sent from the brother living abroad. It is blood money. If you would like to comment on Elizabeth Ohene's column, please do so below. After working with refugees and asylum seekers for over 15 years, I am astounded by these views. Is the author aware of the real conditions in Eritrea, and other countries people knowingly risk their lives to escape from? Has she any understanding of the personal stories of those who embark on such perilous journeys? The idea of choice is misguided. Most are simply hoping to stay alive. Migrants families are definitely not to blame. Many of these families used their life savings to send these migrants abroad for better lives/opportunities. These migrants in return, send monies back home when and if they successfully made it abroad. If anyone should be blamed, it is African leaders who have failed to provide opportunities for many of her citizens at home, thus the need to migrate. This migration will continue until Europe or the intended countries come to a choke. Why! inept leadership and corruption is fueling unemployment, underdevelopment and crisis of war in these countries. As such, the citizens will continue to see migration as a means of freedom. Unknown to these migrants, Europe and America is no more a haven as envisage due to unemployment, discrimination & change. The world must ask heads of states of these African countries what moral right they have for staying in power if their citizens would rather risk dying to escape to Europe than live under the conditions that they have failed to improve? A 14 year old Nigerian boy recently attempted to stowaway in the wheel arch of an aeroplane to flee grinding poverty & hopelessness.